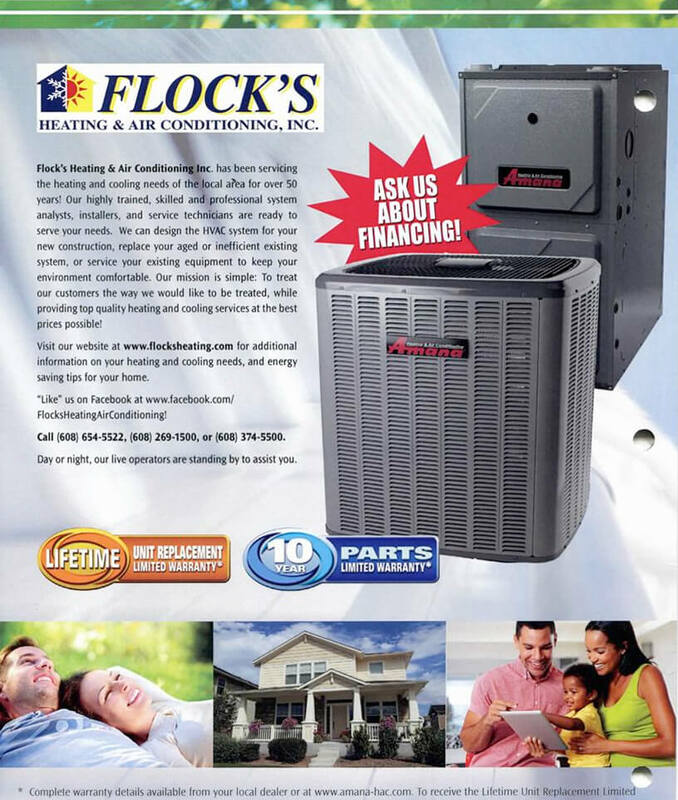 Get Fast & Reliable Air Conditioning Installation, Repair, and Maintenance- Guaranteed! Americans have been relying on premium, long-lasting Amana® brand products since 1934, when Amana, Iowa, native George Foerstner accepted the challenge of building a dependable beverage cooler. Amana successfully met that challenge and, two years later, the company introduced another innovative product that soon became indispensable for commercial establishments such as grocery stores and restaurants – the walk-in beverage cooler, also known as a cold storage locker. The residents of Amana, Iowa, began a long history of pioneering and craftsmanship, and that spirit continues today in the manufacturing of quality Amana Heating and Air Conditioning products. 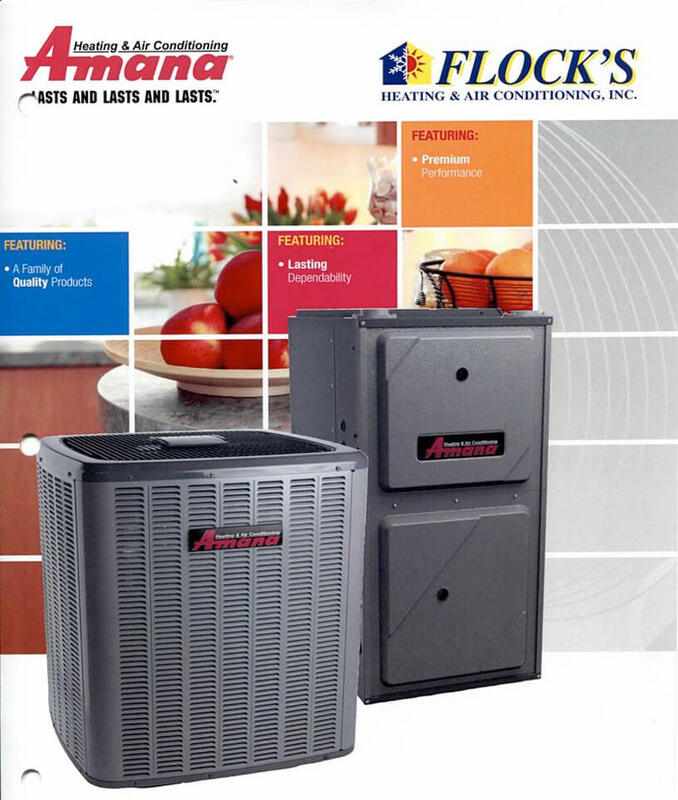 From the technology behind the unique Million-Air® heat exchanger to the inclusion of high-quality filter driers in each of the air conditioners and heat pumps, Amana remains committed to their legacy of providing homeowners with heating and cooling products that are built to last. Repeatedly recognized as the brand behind some of the most energy-efficient gas furnaces, Amana Heating and Air Conditioning brand products are assembled in our facilities located in Tennessee and Texas. 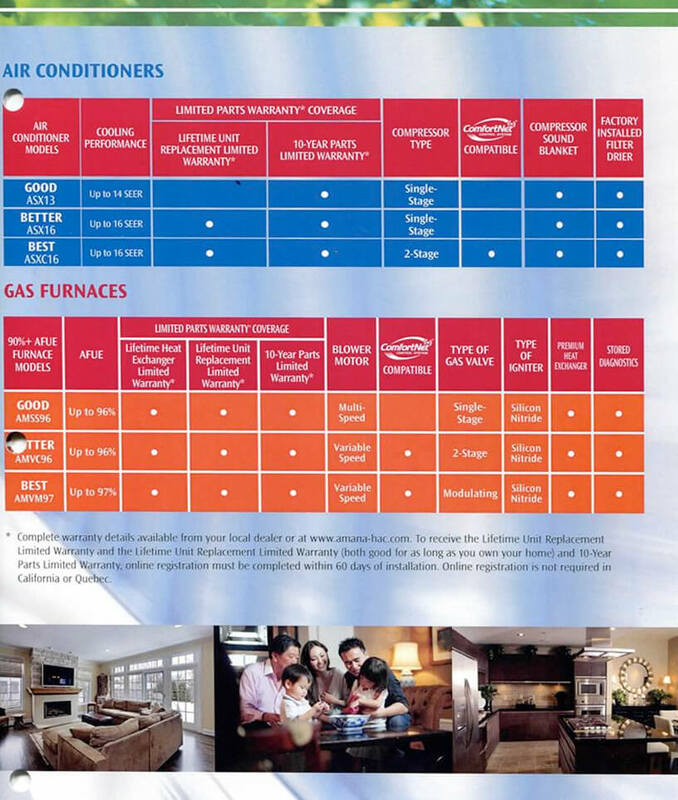 Our air conditioners and heat pumps feature our most comprehensive limited warranty coverage of any on the market. Our most efficient air conditioning and heat pump units offer Lifetime Limited Warranty* protection for the compressor to the original, registered*, single-family, homeowner of a properly matched system using these high-efficiency. Additionally, our most efficient furnace units offer a Lifetime Limited Warranty* protection on the heat exchanger to the original, registered*, single-family homeowner of a properly matched system. If the original owner should have a compressor failure or heat exchanger, we will replace the air failed unit with a comparable Amana brand product at no cost. Providing outstanding standard warranty coverage is just one way of continuing the Amana brand’s 70+-year promise to homeowners to build a product that Lasts and Lasts and Lasts®. 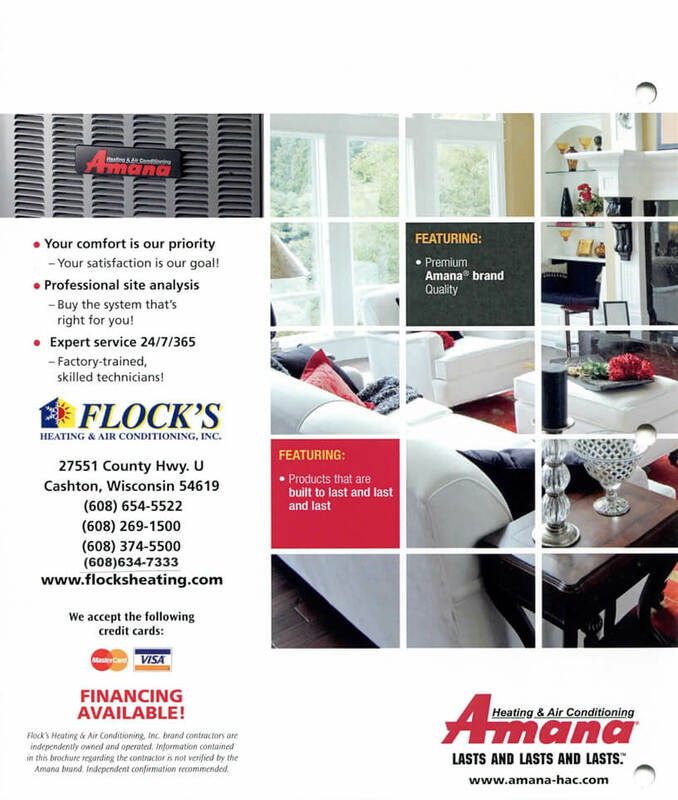 Here's our latest Amana products brochure and features comparison! Click this link for pointers from the U.S. Department of Energy on cooling your home!